In this C1908 Post Card we are on Barretts Hill Road looking west and down onto Greeley Street; which runs horizontal in the picture. At this intersection a left turn onto Greeley takes you to Hudson Center; with a right turn you are headed towards Old Derry Road. Straight ahead you are looking at what is now 68 Greeley Street. In the center of the intersection notice the grassy triangular piece. This is called a “heater piece”. This peculiar shape is formed from the flow of traffic; by continually going left, right, or straight this part of the intersection receives little or no traffic. It is given the name “heater piece” as the resulting shape resembles that of a flat iron. 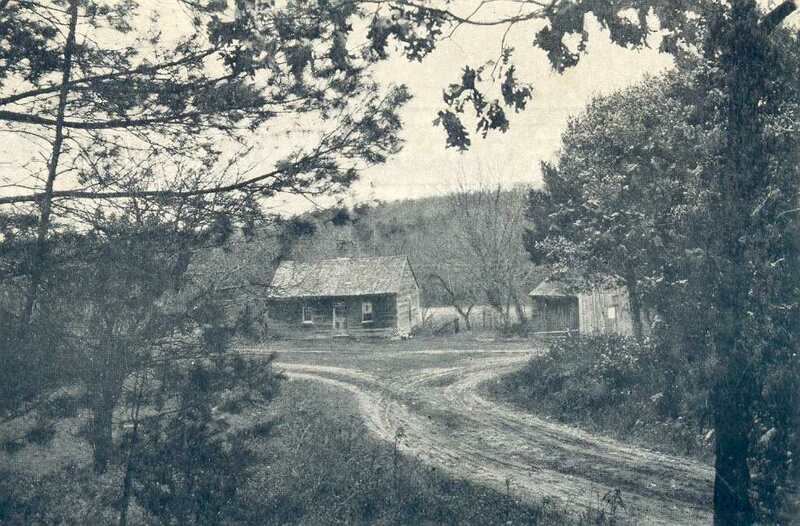 At the time of this photo the house shown here belonged to the estate and family of David Glover. Photo from the Historical Society Collection. By Ruth M Parker in Center on May 22, 2015 .